Pump up the action, you control the power of your jumps, stunts and crashes. 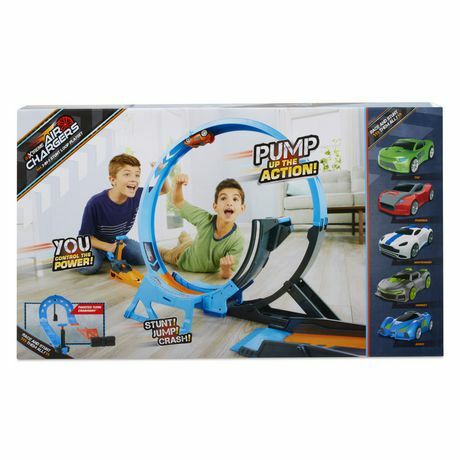 Air Chargers is the only vehicle play system where YOU decide how fast, how far and how high! 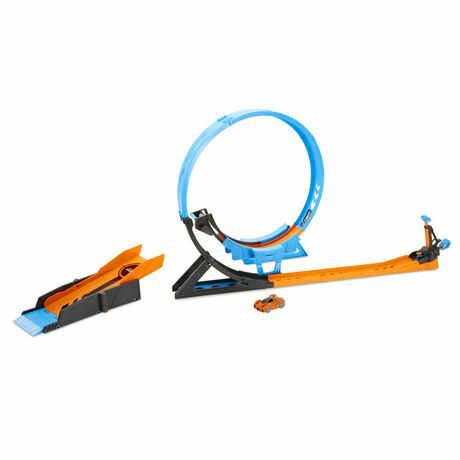 Air Chargers 3-n-1 Stunt Loop gives boys the power to pump up the speed, conquer the twisted turn and crash through the barriers! Pump up your vehicle, launch it onto the track, hit the jump and crash through the included crates! Adjust the ramp for longer distance and higher jumps. Challenge your friends to see who can get the highest jumps, and biggest tricks! • Race, stunt, jump and crash to victory! 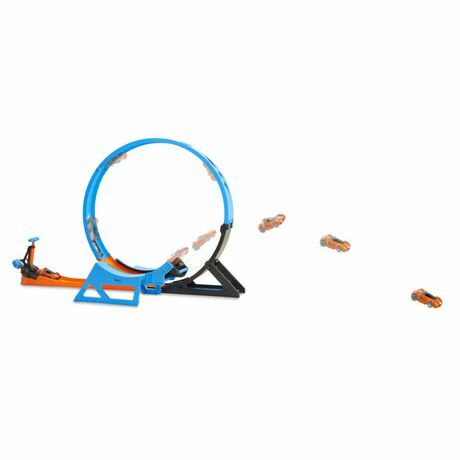 • Pump up your vehicle to complete the massive loop. • Adjust the landing ramp distance and test your Air Chargers power for long distance jumps! 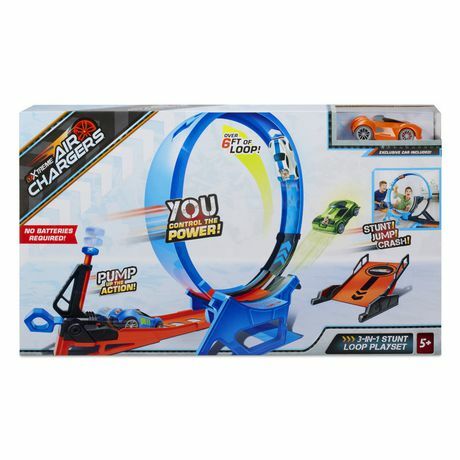 • Connect pieces from your 3-n-1 Stunt Loop to other Air Chargers sets to build and customize your track sets! * Comes with an exclusive car obtained only with this set.